Atlanta is the capital of Georgia and the biggest city in the state. It sees a record number of visitors thanks to the Hartsfield–Jackson Atlanta International Airport, one of the main airport hubs in the country. For travelers staying in Atlanta, there are many ways to get around the city: by Uber, taxi, and MARTA, the public train, and bus system. MARTA is the ​public train system in Atlanta, and many residents and visitors use MARTA to get to work or to see the city's attractions. It provides access to major neighborhoods like Downtown, Midtown, Decatur, and Buckhead. 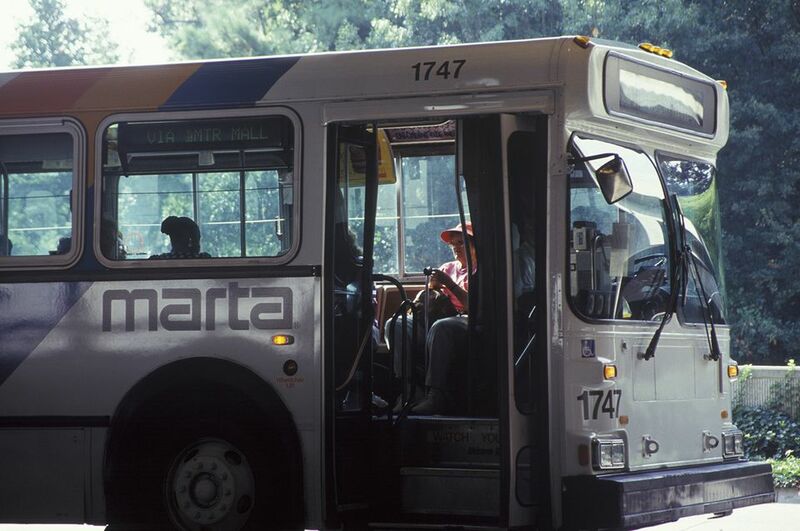 The transit is used so much that the government recently announced it will give MARTA $12.6 million for a new bus rapid line from downtown to midtown Atlanta. This is part of a $48.6 million public transit expansion, which includes 30 new transit stations and five new rapid transit buses, all of which are expected to be up and running by 2024. Many people wonder if it is safe to ride MARTA. Although there have been a few rare criminal incidents that could lead some to worry, the transit is a reliable and secure way to explore Atlanta. Police can often be found working in the stations, parking lots, and on the trains. Plus, each station has a blue emergency phone that connects you to the police as well as a red emergency button in the train cars that will call the train operator. Many people use MARTA for their daily commute, and there are always a lot of professionals on the train during the morning and afternoon rush, so that's a good time to use the train for those worried about traveling alone. MARTA trains do not run 24 hours, so after a particular time of night, it's best to take an Uber or cab to your destination. On the weekdays, trains run from 4:45 a.m. to 1 a.m. and from 6 a.m. to 1 a.m. on weekends and holidays. Trains run every 20 minutes, except during peak hours like heavy commuter times, including from 6 to 9 a.m. and 3 to 7 p.m. on weekdays when they run every 10 minutes. However, MARTA is in a major metropolis, and like any city, Atlanta can have dangerous areas. Riders should try to travel in groups and use caution, especially when riding late at night. A good tip for visitors is to ride in the first car, where you'll be near the conductor if you have any concerns. You should also try to purchase your ticket ahead of time so that you're not standing alone with your wallet out at a late-night kiosk. Like you would do in any new city or country, always be aware of your surroundings, but don't let any fear hold you back from exploring the beautiful city of Atlanta. What Are Atlanta's Best Companies? Moving to Atlanta: Should You Rent or Buy?